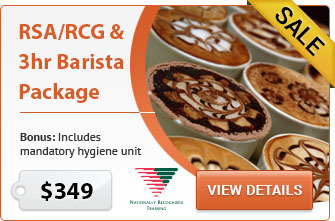 All our barista courses are nationally accredited. 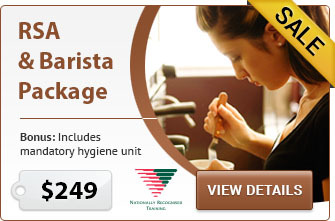 SITXFSA001 Use hygienic practices for food safety is included with our courses at no charge. If you are a student, a barista or simply a coffee fanatic and if it’s nationally accredited courses you are looking for, you have come to the right place. We’ve owned a coffee roasting facility, four espresso bars, consulted for some of the largest coffee companies in Australia, developed the first coffee art course in the world, and written Australia’s first textbook on making coffee from a commercial espresso machine.